New York Senate has removed restrictions on late-term abortions allowing termination of fully-formed children by lethal injection. This week New York’s so-called “Reproductive Health Act” passed with a 38-28 vote and was signed into law by New York Gov. Andrew Cuomo. New York legislators cheered after the state Senate removed restrictions on late-term abortions, allowing babies to be aborted up until the day of birth. “New York’s law allowing termination of fully-formed, viable children for any reason up until the moment of birth will go down in history as one of the most horrific state-sanctioned human rights violations to date. 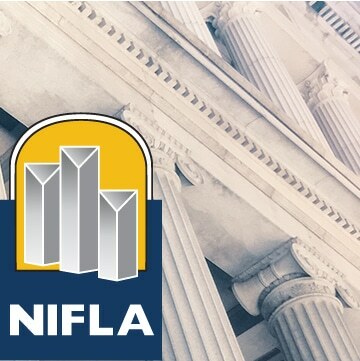 The National Institute of Family and Life Advocates, known as NIFLA, is a national nonprofit organization providing legal counsel, education, and training for pro-life pregnancy centers and medical clinics. Representing a network of nearly 1,500 pregnancy centers across the United States, NIFLA has recently challenged laws in California, Hawaii and Illinois that target its members. NIFLA Vice President of Legal Affairs Anne O’Connor, acted as co-counsel on NIFLA v. Becerra before the Supreme Court. The NIFLA v. Becerra ruling in favor of pro-life pregnancy centers and free speech was released on June 26, 2018. To book interviews with Anne O’Connor or Thomas Glessner about the law allowing abortion up to birth, NIFLA v. Becerra or NIFLA’s pending legal action in other states, please contact NIFLA’s media team at [email protected].